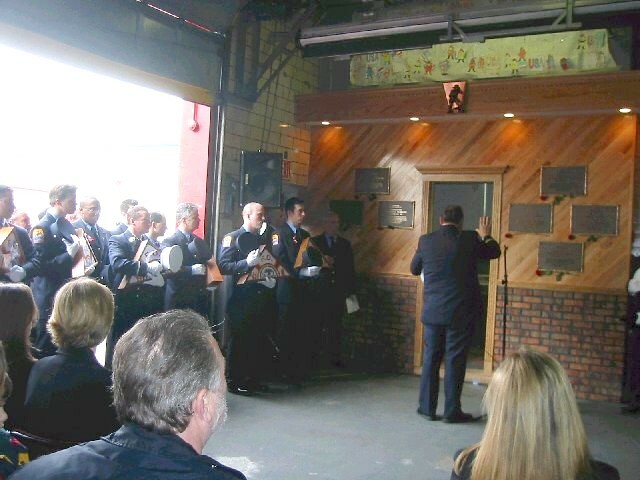 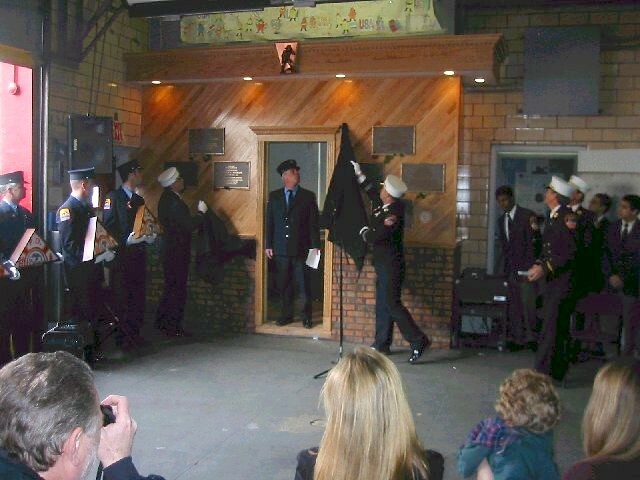 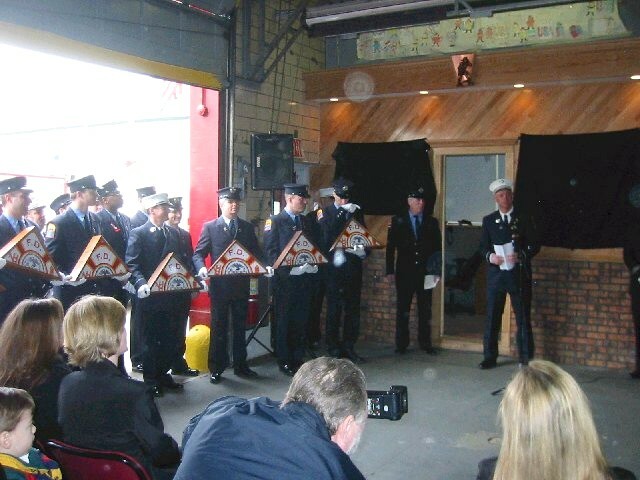 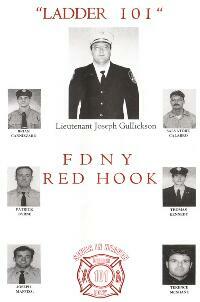 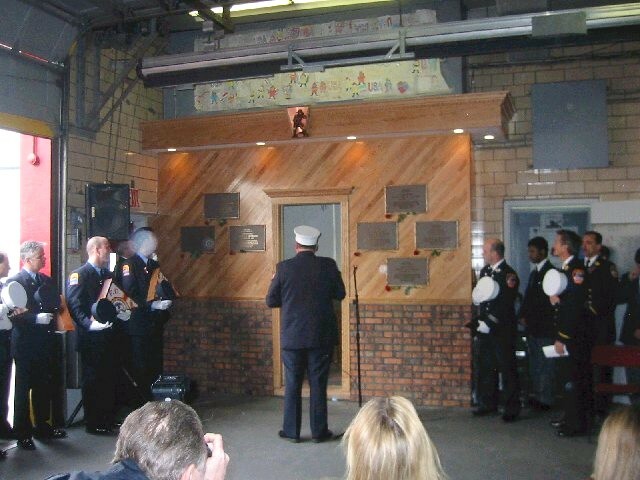 On Wednesday, March 12, 2003, Ladder 101, Engine 202, and Battalion 32 held its Plaque ceremony honoring the seven men who made the supreme sacrifice while operating at the World Trade Center on 9/11/01. About to unveil the plaques. 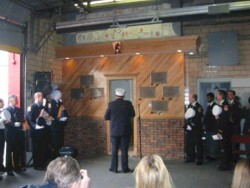 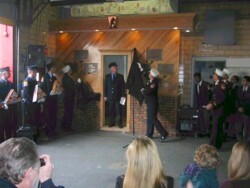 The seven plaques have been unveiled. 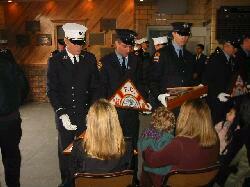 Presenting flags to the familys.